Further research, however, revealed that the participants had been dispatched simultaneously. It was a mass start as opposed to an individual start race in which skiers set out one at a time. As the so-called traditionalists argue, mass starts yield sloppy, nondescript races, thereby demeaning the sport of skiing. A witty skier may indeed enjoy the scenery for 49 km before making a victorious dash to the finish line. While this was not the case in the Far East games mentioned above, the argument has been repeatedly proven elsewhere. Besides, mass starts were not particularly popular in major contests until early 21st century. 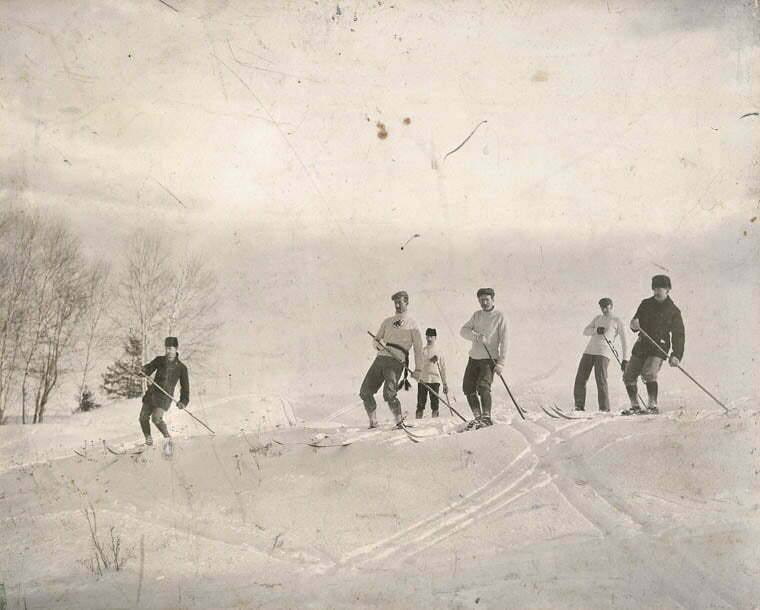 A few generations ago, nevertheless, today’s traditionalists were perceived as radicals bent on destroying indigenous skiing traditions. At least in Finland, mass starts were the norm at the dawn of competitive skiing, and it took a prolonged struggle for the advocates of interval starts to emerge victorious. There are, of course, other countries with other traditions, e.g. Norway, the alleged cradle of skiing. In that country, mountainous terrain seems to have led to the adoption of interval starts. In Finland, by contrast, the very first and therefore original ski races were held on frozen lakes with ample space for spectacular mass starts. The query itself is misleading, as any self-respecting observer can immediately tell. Sporting traditions are human-made inventions, their dissemination tends to be a hazardous affair, and no tradition can claim to be the real, unadulterated thing. My advice is, let the slightly chaotic mass starts prosper alongside individual starts – as long as the technique remains classic! Did I hear somebody protesting against the adjective ‘classic’? Classic as opposed to what? Non-traditional skiing, I guess, but who can tell whether diagonal stride truly is more classic or even classier than skate skiing? I can only say that there comes a moment in every sport’s evolution when esthetic evaluation takes precedence over other considerations. Just watch this weekend’s ‘classic’ Holmenkollen games and judge for yourself whether a 50 km skating race is worth the effort. Previous Post 2018 Winter Olympics set to begin against the backdrop of warm words and cold politics Next Post Can the Commonwealth Games change perceptions of the Gold Coast?